On Wednesday, September 21st and Thursday, September 22nd McGill Against Austerity held its first educational meetings of the year in the SSMU board room. Around a dozen students gathered to listen to Wednesday’s presentation, which was lead by representatives David Aird, SSMU’s current VP of External Affairs, and Gregoire Beaune. McGill Against Austerity began in the fall of 2015 after motions were passed in the SSMU general assembly in March of 2015. Aird stated that their mandate is “to oppose threats to the accessibility of education,”. Though representation by the McGill community has not been overwhelming at past student demonstrations, McGill Against Austerity wants to highlight how all students are equally affected by austerity measures. Since 2012, McGill has lost over 50 million in funding alone, and tuition fees are rising by 3.4% each year despite the decline in quality of education and number of services offered. Student Services are increasingly subject to budget cuts, the student-to-faculty ratio is rising, and over 150 Arts classes have been cancelled since 2013. McGill Against Austerity also pointed out how students now pay for extended library hours and TAs are being forced to work overtime without compensation. 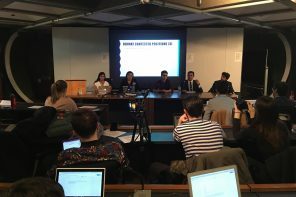 Beaune mentioned the decrease in options for summer classes as a particular problem, as it forces graduating students to retake classes or obtain missing credits during the Fall and Winter semesters. Sometimes, he said, this can delay graduation, but McGill stands to profit from it by charging more for tuition. Aird contrasted these cuts with the salary of current principal Suzanne Fortier, who makes $400,000 per year, and the pension of retired principal Dr. Heather Monroe Blum, which is $284,000 per year (in addition to $87,000 she already received as pension, as the Montreal Gazette reports). Beaune and Aird see this as an example of McGill “embracing an Austerity logic”. This idea, according to them, is based on the assumption that “the university first and foremost should be treated like a business,” which fails to acknowledge the importance of student experiences and community. “They don’t really care about real student grievances,” said Aird, noting the backlash against activism on campus. 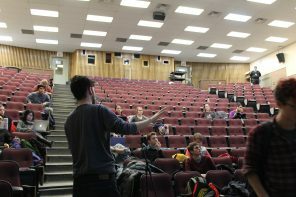 McGill Against Austerity’s first priority is to educate students—either by distributing pamphlets, putting together videos, or holding information sessions like Wednesday’s Austerity 101 presentation. Aird and Beaune assured those in the room that the group places an emphasis on informed, safe participation, even while attending more radical protests. 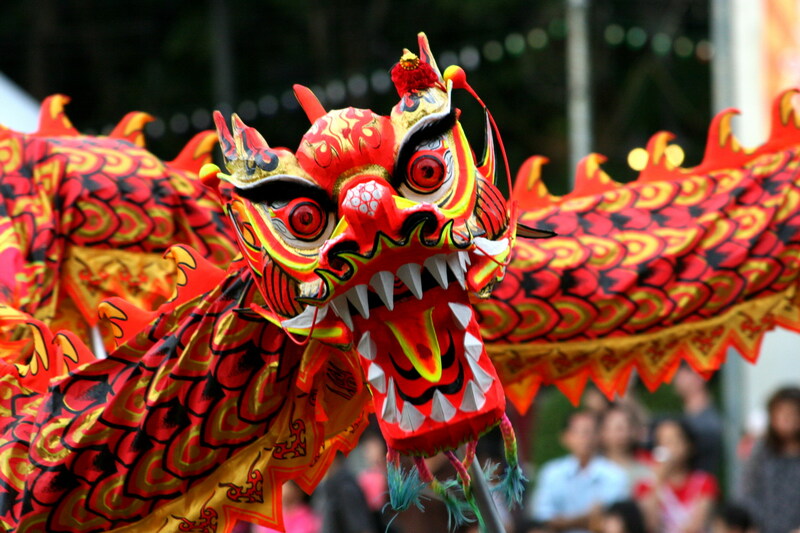 They also recognize that more traditional methods (setting up meetings with government representatives and writing letters to MPs, for example) can be good methods for bringing about change. 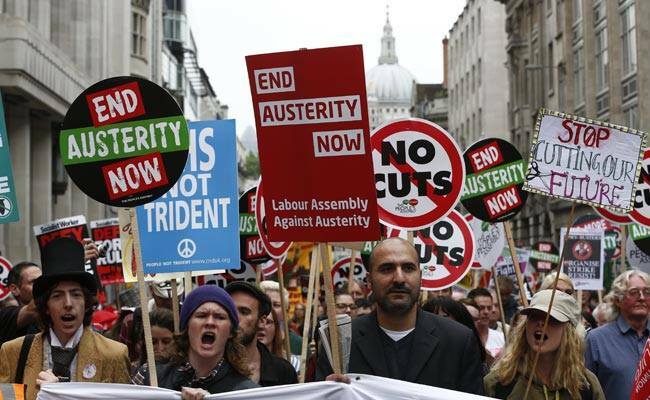 Emphasis should be placed on creating a space where students can “most effectively fight back against austerity” regardless of tactics, says Beaune. To get a better sense of McGill Against Austerity’s objectives, the Bull & Bear met with Adam Mackenzie, a U4 Political Science student and member of the group. 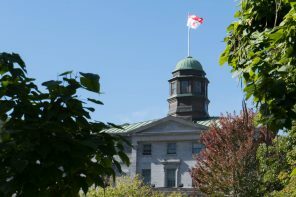 B&B: Have you had any success in your direct communication with McGill administration? Adam: McGill hasn’t personally talked to us yet – we’re still relatively new. ASSÉ (L’Association pour une solidarité syndicale étudiante) is doing big research and really pushing that in their universities. B&B: What are some of your goals, besides education? Adam: Our short term goals include getting departments to pass anti-austerity measures in strict language. SSMU already has an official policy, but we want to create more discussion at a departmental level. We also want to send people to meet with other [organizations]—like AVEQ (Association for the Voice of Education in Quebec). B&B: You mentioned AVEQ and ASSÉ, are there other specific groups you’re working with? Adam: We’re trying to focus more on on-campus groups like Demilitarize McGill, Divest [McGill], [Fifteen and Fair]—there’s a protest for raising the minimum wage in October, and we’re looking to send people to that. B&B: How do you feel about people getting angry about the class disruptions caused by protests, and do you have any ethical qualms over this? Adam: To a certain degree, I can understand that. While they feel disturbed about it, it is a direct action. 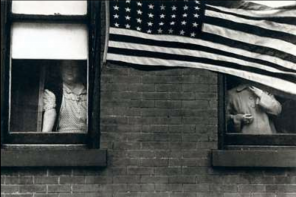 When people don’t challenge the powers that be, there’s a culture that protests have to be quiet and controlled and managed, but strikes only work if they’re enforceable.If these strikes pass democratically, they have to be enforced, and the only way power structures are going to respond is through direct disruption. Divest presents scientific paper after scientific paper, but what [the administration] responds to is stuff like the occupation of Suzanne Fortier’s office. B&B: Do you find that McGill is a particularly challenging community to rally to action? Adam: The anti-austerity movement has a really long history in Quebec, especially in the Francophone universities, [but] McGill is kind of an island. It doesn’t really interact as much with the other universities and you could say that it doesn’t have a strong activist tradition. 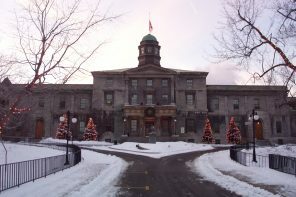 One of our long-term goals is to connect McGill to the other universities within Montreal. Despite the small size of the group, the dominant outlook at the presentation was hopeful. “Historically speaking, the student movement has absolutely been able to [promote] change at the provincial level,” said Beaune. “A new movement can flare up at any time in Quebec” he said, specifically citing the 2011 student protests as a source of inspiration for the group. Mackenzie told us that although student turnout at McGill Against Austerity meetings usually falls at around a dozen people, it’s to be expected with such a new movement on campus. “We get more people at protests,” he added. According to Mackenzie, setting up the infrastructure to promote effective change takes time, but it will be worth the wait.